Why are we talking about recess? Recess is an essential part of Cambridge's educational philosophy. It affords a time to rest, play, imagine, think, move, and socialize. We believe multiple, safe, and well-supervised breaks offer cognitive, social, emotional, and physical benefits. Watch our "About Us" video to get to know us in less than 5 minutes. Or, keep reading! We value children as persons created in God's image, not empty minds to be filled. 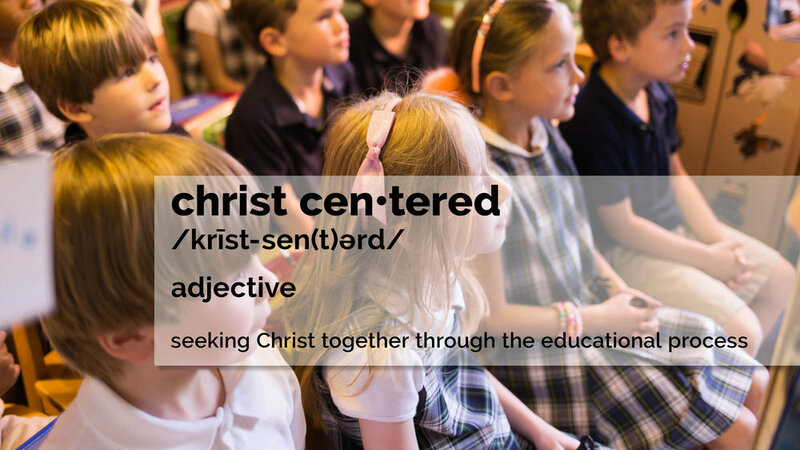 We welcome Jesus Christ as an active, living presence in all that we do at Cambridge School. He is the "Master Teacher" who models the full integration of knowledge, wisdom, and character. We appreciate all the facets of life, including the arts, sciences, literature, history, mathematics, religion, and culture from a Christian world view. Children learn best when they can experience the relationships between subject matters in a way that reflects "the big picture" of God's wholeness, not as isolated bits of information. At Cambridge, we create space to absorb and ponder. We relive historical events and identify with the characters of a book. Through a sense of wonder our students learn and make connections. We inspire children's imaginations by immersing them in time-tested, rich literature, history, art, and music within an environment where students are encouraged to question and explore. As genuine questions emerge and students examine truth that transcends history, they are transformed from passive participants into engaged and interested learners. Exposure to the Masters of art, literature, music, and science inspires students to appreciate the patience and practice required for excellence in their own work.